This product is the second part of my Numbers Practice 1-10 activity. If you are interested in purchasing these products as a bundle, please return to my store and search "Number Practice Bundle." 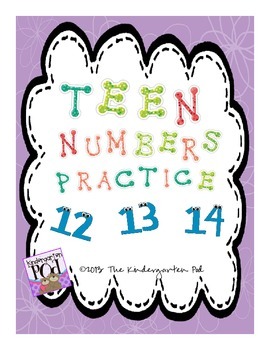 This product provides students the opportunity to practice those "tricky teen" numbers. Each page focuses on a different number and provides practice with number writing, number word writing, tally marks, ten frames and drawing shapes. If you have any questions about this or any of my products, don't hesitate to contact me at thekindergartenpod@yahoo.com. Thanks! 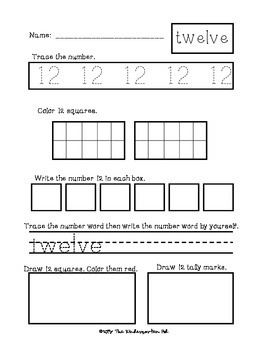 Click here to access Number Practice BUNDLE! Follow my blog, The Kindergarten Pod, to get updates on my latest products, FREEBIES and resources.